The Town of Gawler's vision for reconciliation is about building respect, understanding and dialogue between Aboriginal and non-Aboriginal people, with a focus on creating environments where interactions and meaningful relationships can occur. Kadlitiyarlu tampinthi yalaka ngadlu Kaurna yartangka inparrinthi. Ngadludlu tampinthi, parnaku tuwila yartangka. Kaurna Miyurna yaitya yarta-mathanya Wama Tarntanyaku, parnaku yailtya, parnaku tapa puru purruna. Kaurna Miyurna ithu yailtya purruna, yarta kuma puru martinthi, puru warri-apinthi, puru tangka martulayinthi. You can listen to this statement by Jack Buckskin in Kaurna language via the Gawler Acknowledgement link below. The Town of Gawler acknowledges this land we meet on today is the traditional lands for the Kaurna people and that we respect their spiritual relationship with their country. We also acknowledge the Kaurna people as the custodians of the Adelaide region and that their cultural and heritage beliefs are still as important to the living Kaurna people today. This Reconciliation Action Plan is the first for the Town of Gawler and it represents a significant milestone in Gawler’s reconciliation journey. The Gawler RAP outlines practical actions that Council and its partners will take to build strong relationships and enhanced respect with Aboriginal people from across the region. This Plan ensures that staff, elected members, volunteers and members of the community are able to contribute to the reconciliation process. The RAP focuses on strengthening positive relationships, acknowledging and respecting Aboriginal culture, and providing opportunities to ensure that Aboriginal people have the same opportunities as others in our community. The Gawler Reconciliation Action Plan Working Group was established in February 2016 with the aim of developing, and then implementing, the RAP. The RAP Working Group comprises representation from across the organisation and the local community. 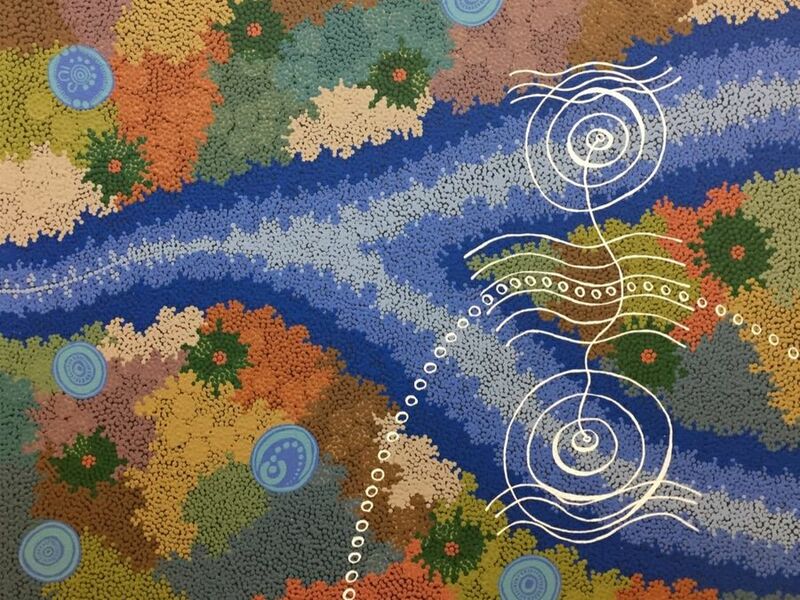 The RAP artwork was produced by contemporary Aboriginal artist and RAP Co-Chairperson, Scott Rathman, following a series of workshops with Town of Gawler staff and the RAP Working Group. The three large canvasses were produced reflecting the RAP themes. Imagery of the artwork is used throughout the document and the original canvasses remain with the Town of Gawler. The Gawler RAP has been endorsed by Reconciliation Australia.